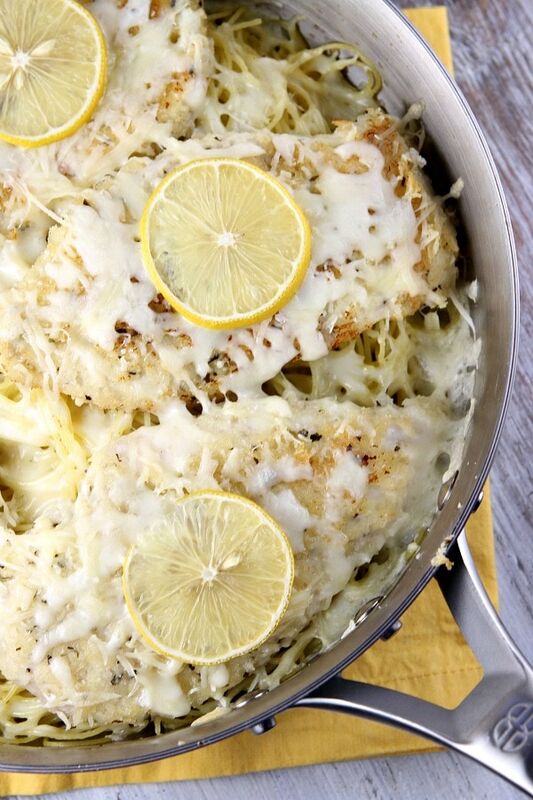 This delicious Lemon Chicken Parmesan is easy to make, and it’s totally family-friendly. Breast Cancer has found its way into my family and among my friends. People I love have fought it and conquered it. People I love have struggled with ridding their bodies of this awful beast for many years. And along the way, people I love have lost the battle. That being said, I feel that it’s important to try and raise money for research so we can work to find a cure for breast cancer… for all cancers. As you probably are aware, October was Breast Cancer Awareness Month. KitchenAid has been working for the last 10 years to help raise money for breast cancer research through their partnership with Susan G. Komen for the Cure (they’ve raised more than 9-million to date!). 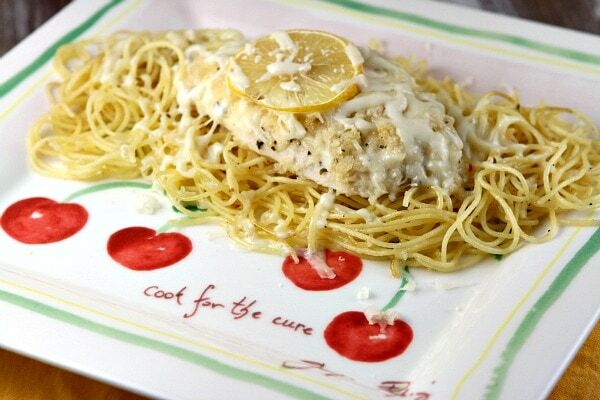 They’re currently working with a community of bloggers to help spread the word through their Cook for the Cure program. As part of the program, KitchenAid has launched the Pass the Plate Initiative. 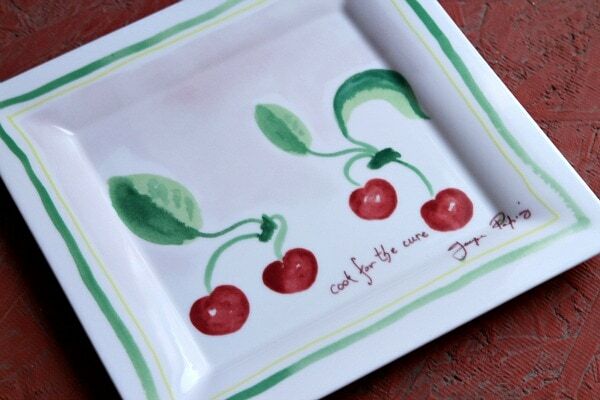 It starts with a Villeroy and Boch plate custom designed by Jacques Pepin. You buy the plate, register it online, make a dish to serve on the plate and then pass the plate to a friend. Then the friend registers the plate, etc. and passes it on to another friend. Every time someone new registers the plate, KitchenAid donates $5 to Susan G. Komen. 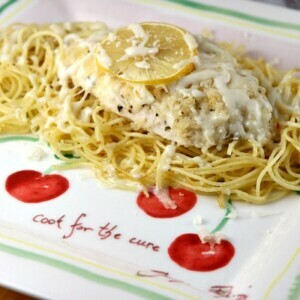 I Cooked for the Cure and created dinner for my family: Lemon Chicken Parmesan, which I served on this plate. The chicken is simply breaded and lightly sauteed. 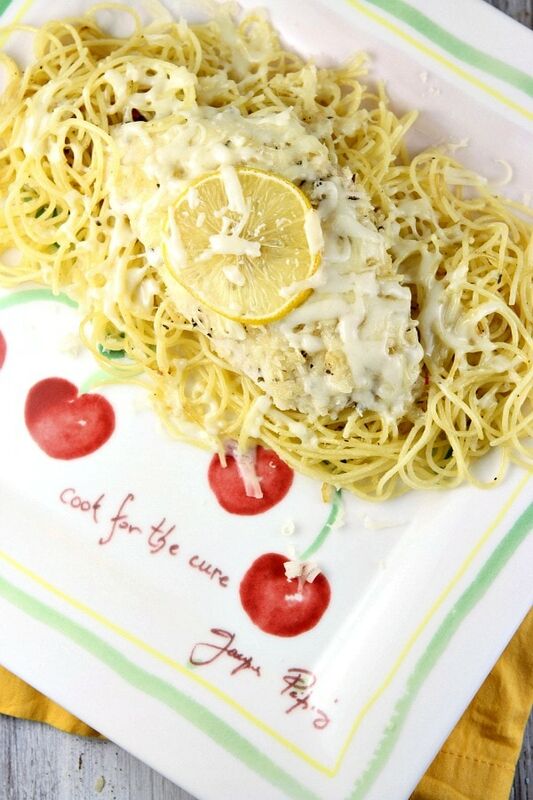 It’s served over thin spaghetti noodles that have been tossed with a light and lemony Parmesan- butter sauce. The dish is finished off in the oven with a little bit of melted mozzarella cheese. My family loved every bite. I will now register my plate online (earn $5 for breast cancer research) and pass it along to a friend who I will ask to do the same. KitchenAid has generously offered to give one RecipeGirl reader a Cook for the Cure plate so that you too can keep the Pass the Plate tradition going. One winner will be selected via Random.org and announced on Friday, November 8, 2013. This giveaway closes on Thursday, November 7, 2013 at 11:59pm PST and is open to U.S. participants only. The winner will be contacted via email and will have 48 hours to respond before another winner is chosen. The randomly selected winner is Vicky Morin. Thanks to everyone who entered! Disclosure: I received a Cook for the Cure plate from KitchenAid in conjunction with this giveaway. I was not compensated for this project. All opinions shared are my own.